Two years ago, Verizon Wireless announced plans to launch a nationwide 4G LTE network. Since then, the company has launched hundreds of LTE markets, and that number keeps growing by dozens every single month. 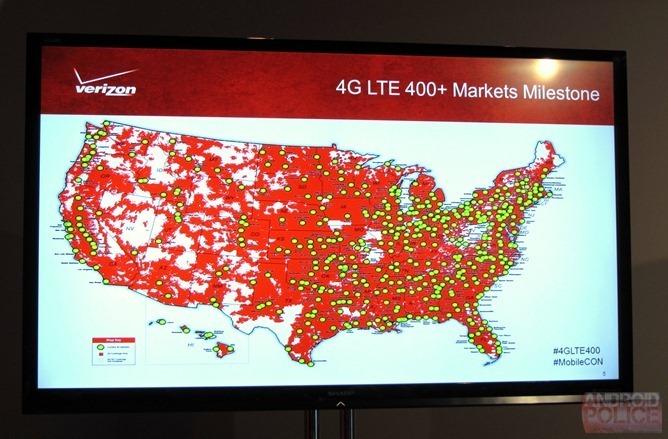 In fact, it will launch its 400th LTE market - Marquette, MI - along with 20 other new markets, on October 18th. Four-hundred markets is an impressive feat no doubt, but what makes it even more incredible is that VZW is running two months ahead of schedule. Too bad they can't get OTA updates out that fast. Ba-zing! Brainerd and Fergus Falls/Alexandria, Minn.
Norfolk and North Platte, Neb. Bend and Medford/Grants Pass, Ore.
Aberdeen and Walla Walla, Wash.
Bakersfield, Fresno and Los Angeles, Calif.
Albany/Tifton, Athens and Gainesville, Ga.
Bloomington, Decatur/Effingham and Peoria, Ill.
Detroit, Grand Rapids and Lansing, Mich.
Joplin and Kansas City, Mo. Albuquerque and Santa Fe, N.M.
Albany/Schenectady, New York, Rochester and Syracuse, N.Y.
Seattle, Spokane and Tacoma, Wash.
Flagstaff, Nogales, Prescott and Sierra Vista/Douglas, Ariz.
Grand Island/Kearney and Hastings, Neb. Kennewick/Pasco/Richland, Port Angeles, Wenatchee and Yakima, Wash.
Riverton and Rock Springs, Wyo. The company is slowly working to get 4G coverage in all areas where it currently provides 3G, and is clearly making good progress on that goal. 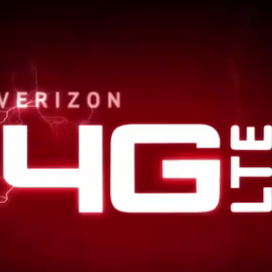 In fact, over 35% of all Verizon's network traffic for the month of September was over 4G. Good job, Big Red.